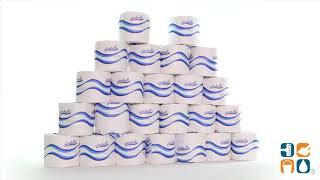 Ultra soft toilet paper rolls are individually wrapped to keep your rolls clean and dry during storage. Safe for sewer and septic systems. 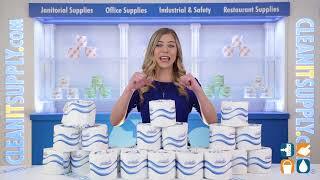 Softer and more absorbent toilet tissue provides "at-home quality". Meets EPA guidelines for post-consumer content. 40% post-consumer waste content. 4.0" x 3.75" sheet size. Each 2-ply roll has 400 sheets. Includes 24 rolls.